We meet a lot of amazing people & companies and want to share a few we think you will want to know about. We're proud to partner with these businesses! Helping you find additional clients through a holistic digital marketing strategy. Refining your current marketing channels to improve the ratio of people who contact you after visiting your website, which lowers your costs of acquiring new clients. Improving the efficiency of your sales process by automating certain tasks and integrating technology to save you time and money. We are a 501(c)3 non-profit organization that works with moving companies to collect non-perishable food items, and deliver it to food banks all across North America. 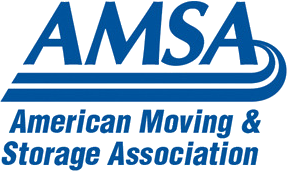 Currently we are working with over 601 relocation companies! We have delivered over 8 million pounds of food to food banks across North America. We help businesses find their BOLD authentic voice and share it with the world. From brand identity to design work and wordpress web development, we'll get your brand out there. GROW YOUR BUSINESS WITH GREAT MOVING LEADS!